The goal of all NCIOM initiatives and research is to improve the health and well-being of North Carolinians by identifying evidence-based solutions with broad stakeholder support. The work of the NCIOM has led to improved health for North Carolinians and positive changes to health care delivery in North Carolina. For thirty years, the NCIOM has been involved in efforts aimed at expanding North Carolinians' access to high-quality, affordable health care. NCIOM task forces have focused on vulnerable populations, including uninsured pregnant women, children, and individuals with preexisting health conditions, as well as the availability and quality of health care services throughout the state. NCIOM recommendations have led to the expansion of Medicaid coverage for pregnant women, the creation of the NC Health Choice program for children, the expansion of health professional training programs, and increased support for programs that support rural health practitioners. NCIOM recommendations have led to increased utilization of preventive services, provider participation in Medicaid, and strengthening and supporting the health care safety net. 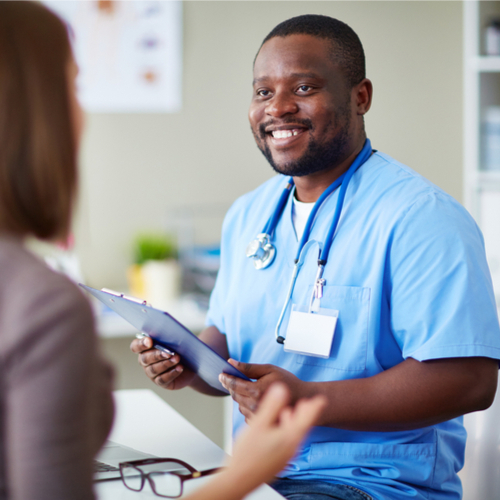 Through a collaboration with the Department of Health and Human Services and other partners, the NCIOM has improved the health and well-being of North Carolinians through a focus on preventive care and population-based strategies. The Prevention Task Force developed evidence-based recommendations to reduce preventable risk factors for poor health, death, and disability in North Carolina. The recommendations helped state, local, and philanthropic organizations focus investments and identify areas for collaboration. In partnership with the Governor's Task Force for Healthy Carolinians, the NCIOM convened experts to develop the state's Healthy North Carolina 2020 plan, and drive state and local activities to improve population health. Finally, the Task Force on Implementing Evidence-Based Strategies in Public Health provided recommendations to help local health departments identify and implement evidence-based programs to address local health needs. Establishment of a new medical school in the state, increasing the number of clinicians who are educated and work in the state. Increased funding to support the expansion of both state medical schools, the addition of a new dental school, and new and expanded physician assistant and nursing programs. Increased state investments in the Medicaid Home and Community Based Services waiver, the Division of Aging and Adult Services, education and access to resources, and caregiver support services through Project C.A.R.E. NCIOM Task Forces have addressed numerous issues related to child health and well-being including social-emotional development and mental health, child maltreatment, obesity, oral health, adolescent health, and access to affordable health care. NCIOM Task Forces have led to the development of the NC Health Choice program, statewide adoption of evidence-based parenting programs, and increased support for early care and education. The NCIOM, in partnership with NC Child, publishes the North Carolina Child Health Report Card. For more than twenty years, the Child Health Report Card has highlighted North Carolina's successes as well as challenges we still face in meeting the health needs of our children.